The Supreme Court hears arguments today on a case that may well lead to the dismantling of Section 5 of the Voting Rights Act, which requires many states, cities, and counties, primarily in the South, to get preclearance from the Department of Justice before changing election laws in ways that could affect minority voting rights. The argument for doing away with the section is straightforward: The South has come a long way since 1965, and it is unfair to keep singling the region out for scrutiny. Dr. Brenda Williams begs to differ. A family-practice internist in Sumter, South Carolina, she and her geriatrician husband, Joseph Williams, run a local nonprofit encouraging parents to marry, and back in 2007 they decided to also help townspeople register to vote. Brenda went to housing projects, the jail, anywhere she was likely to find disenfranchised people. She redoubled her efforts in the spring of 2011, when Governor Nikki Haley signed legislation requiring government-issued photo identification at the polls. Williams began to help people secure photo IDs, and when she realized how arduous and costly that was for many residents—especially those who lacked birth certificates, or had their names misspelled on them—she shared her observations in multiple letters to Attorney General Eric Holder. Her efforts were vindicated two days before Christmas, when the Department of Justice denied preclearance of the law, sending the matter to the federal courts. South Carolina eventually agreed to soften its requirements, but that happened only because the U.S. government was able to challenge the law in the first place. And throughout her crusade, Williams saw plenty of signs that things have not changed as much in the Deep South as many—including Chief Justice John Roberts, who has sent signals suggesting he wants to do away with Section 5—would like you to believe. Take, for instance, the e-mail Williams received April 19, 2011, from Phillip Lowe, a Republican state representative whom she had contacted about funding for her efforts to get IDs for resident—efforts that, she says, cost her and her husband "thousands." Lowe e-mailed right back: "I have a way of funding your operation and solving all the name change problems. Ask all the people needing to change their name to come to a free legal seminar. Have [the South Carolina Law Enforcement Division] run a free background check. If any turn up in the most wanted list, you will get the reward. :)"
Williams took this pretty hard: Her local state representative was assuming that those whom she was helping were being sought for crimes. When I reached Lowe on the phone, he assured me that his email was meant in jest. "It was sent in a jokey fashion with one of those winks and a smile after it," he said. "It was a joke. You'd hope that people could have playful banter and wouldn't try to twist that on the other person." Williams might have been more likely to take the e-mail with a grain of salt if she had not faced, throughout her life, echoes of the pre–New South. It started literally at birth: She was born just after midnight on January 1, 1952, in Savannah, Georgia, which, under a local promotion for the "first baby of the year," would've entitled her family to a year's supply of free milk and diapers—had she been white. She recalls not being allowed to step foot in Savannah's graceful town squares. She recalls what happened when her parents joined a lawsuit to integrate the city's schools when she was nine years old: the picture of the burning cross affixed to their Dodge Dart, the brick through their house window. There were five black students in her class of 200 at the Medical College of Georgia. Her neighbor in Sumter flew a Confederate flag outside his house for 15 years. And so on. But nothing brought home the South's unreconstructed racial dynamic as much as the fight over voter ID, as it dawned on Williams what a disproportionate burden the law would have on poor black residents in her adopted state. After Williams put out the word—in flyers and signs at her office—that she would help people get photo IDs, she was swamped with demands. One of the first to seek assistance was Thelma Hodge, a 76-year-old from the hamlet of Mayville, 15 miles from Sumter. Hodge lacked a birth certificate, and when Williams called the local health department about getting one, she says she was told to "contact vital statistics." That led to a call to a company called VitalChek, which has rights to a national registry of birth certificates and charges $30 for a copy, plus a $12.95 handling fee, plus $9.75 shipping—a total of $64.70. Williams put it on her credit card, as she would for many others. "But that's when the light bulb went off. I said, 'OK, I see what you're trying to show me,'" she said. One after another, the people came to Williams. Amanda Wolfe, 28, not only did not have a birth certificate but did not know who her birth parents were. Naomi Gordon, 57, had a birth certificate but it misspelled her first name as "Lmnoie," the apparent result of having been birthed by a midwife with sloppy or poor writing skills. Her brother Raymond Rutherford, who works at Wal-Mart, had his name misspelled as Rayman; his only photo ID was one he'd bought from the local liquor store in 1976 for $10. Junior Glover, 78, didn't have a birth certificate; his name was recorded in a family Bible that was destroyed in a fire in 1989. Clyde Daniels had a birth certificate but no proof of his current address, as all his household records were in his wife's name. He told Williams, "There's nothing wrong with my mind, Dr. Williams, my wife is just a better businessperson." Williams says that she helped well over 100 people get photo IDs (South Carolina officials estimate there are about 180,000 eligible voters in the state who lack a valid driver's license). Rutherford, Gordon, Glover and one other person are still waiting for their corrected birth certificates. But with Williams's help they have been able to get a qualifying voter registration card under language in the South Carolina law that exempts people facing a "reasonable impediment." A federal court in Washington approved the South Carolina law in October only after state officials pledged to give an "extremely broad interpretation" to that exception. That guarantee would not have come about, Williams notes, but for Section 5 of the Voting Rights Act, which is why it would be a "terrific mistake" for the Supreme Court to do away with preclearance. She acknowledges that South Carolina and other southern states are hardly alone in pressing stringent voter ID laws—Pennsylvania, Wisconsin, and other northern states have done so as well. But her experience has shown, she says, that the Deep South remains in a league of its own in seeking to disenfranchise racial minorities. "South Carolina was the first state to secede from the union, for goodness' sake, and now it's talking about seceding again," she said. "Without question, there is still a staunch racist atmosphere in the South. It gives me a bad feeling in my gut to say that but it's true. 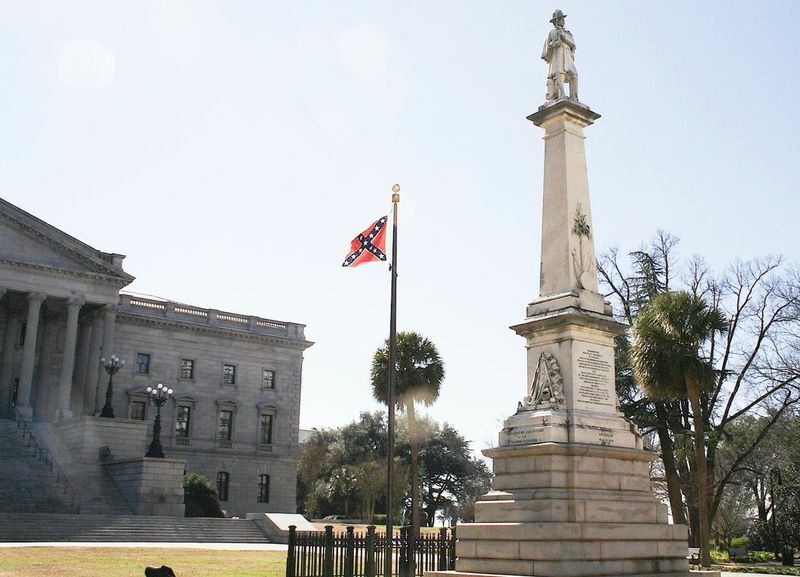 We have a Confederate flag flying on the State House grounds, for God's sake!" I asked Williams how long she thought Section 5 needed to remain in place. "For the next 50 years, probably," she said. "Until this generation of people dies out. I hate to say it, but it's true. This generation of people who have some affiliation with what the South used to be. The younger generation, I truly feel, will go beyond race."